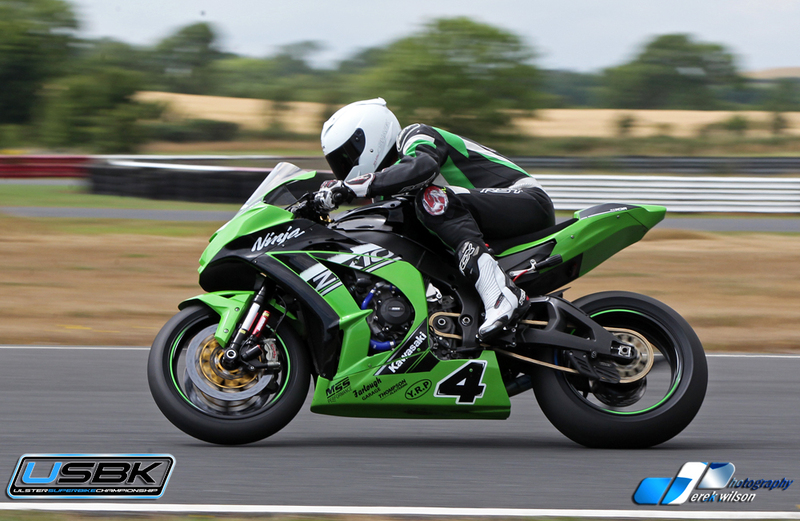 Randalstown’s Gerard Kinghan retained the Norman Brown Memorial Trophy with a double victory at round six of the AJ Plumbing Supplies Ulster Superbike Championship on Saturday. Kinghan holds a commanding lead in the championship and quickly asserted control in race one at Bishopscourt in Co Down, managing his pace from the front as he closed out victory by two seconds from Alistair Kirk (AKR/McCurry Motorsport BMW). Ryan Gibson was a further 9.7 seconds back in third on the JMC/Gibson Motors Suzuki, with Aaron Armstrong (Hunky Dory Suzuki), James Kelly (Suzuki) and Andrew Murphy (Kawasaki) completing the top six. In race two, Kinghan was made to work harder by a determined Kirk, who pushed his rival all the way. There was little between them throughout the 10-lap race but it was Kinghan who just held on to complete his double by four tenths of a second. 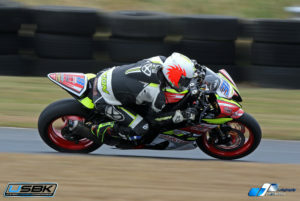 Armstrong clinched the final place on the rostrum by 0.4 seconds ahead of Jason Lynn, who was riding the Walter Bell Yamaha R6. Gibson and Kelly finalised the top six. 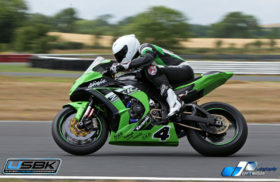 In the Supersport class, Lynn destroyed the field in race one to win by 10.6 seconds from Christian Elkin (Bob Wylie Yamaha), with Lee Clarke third on his Kawasaki ahead of Simon Reid (visorshop.com Triumph). 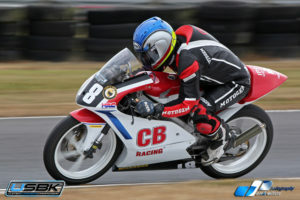 Denver Robb won both Supertwins races, while Kevin Lavery and Jonny Hanna sealed a win apiece in the Production Twins class. Paul Robinson was victorious in both 125cc races, with Gary McCoy notching a brace in the Lightweight Supersport races on his 400cc Yamaha. There were also double wins for Jonny Campbell and Joshua Rae in the Junior Cup and Young Guns Challenge races respectively. Andrew Brady won both Pre Injection races from Johnny Aiken.